While the pain that comes from sports injuries can vary in intensity, chances are you’re eager to recover quickly. Seeing a qualified orthopedic professional is the easiest way to do this. Not only will they diagnose your sports injury and begin treatment, but they will also help you to learn about the proper stretches and exercises. If necessary, the orthopedist will also educate you about potential surgeries. While making these considerations is important, it’s also important to maintain a proper diet. Having the right diet while recovering from a sports injury can minimize your recovery time, and help you reach your goal sooner than you expected. Protein is responsible for bulking up the muscle tissue in your body. When you suffer a sports injury and cannot maneuver a certain body part, this body part inevitably loses mass. Eating the recommended amount of protein can lower the potential for a substantial loss in muscle mass. So, focusing on taking in the proper amount of chicken (with the occasional helping of beef) is crucial. Fish can also be a major source of healthy protein. And, non-meats like beans, tofu, and nuts can be a steady part of your diet as well. Protein intake is especially important when you begin to retrain your body, as it can improve muscle development. An orthopedist familiar with your recovery plan can provide specific advice about recommended protein intake. One of the main goals in recovering from a sports injury is to reduce inflammation. This is important for improving the range of motion, and returning the body part to the previous state. Vitamin C can help you to accomplish that. Vitamin C has anti-inflammatory properties, which can decrease (or prevent) inflammation. The collagen that vitamin C produces also improves the body’s ability to maintain bone, muscle, and tendons. The obvious place to start is with citrus fruits, like oranges and grapefruits. Bell peppers, spinach, broccoli, tomatoes, and kiwi also carry plenty of vitamin C.
Sports injuries like a sprained ankle can cause lots of inflammation in the affected area. Foods with Omega-3 fatty acids can help control this inflammation. 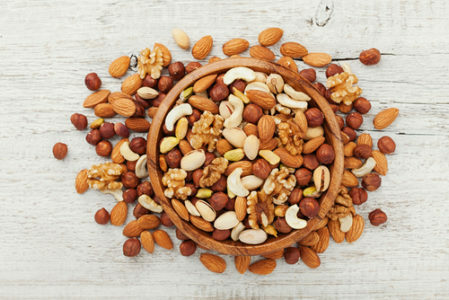 If you’re looking to begin incorporating omega-3 fatty acids into your diet, then healthy snack foods like walnuts and chia seeds are the best place to start. Fish, which also provide protein, also contain plenty of Omega-3 fatty acids. However, ingesting too many Omega 3 fatty acids could also have the opposite effect. So, rather than taking vitamin or powder supplements, be sure to eat real foods that contain these nutrients. Omega-6 fats, which are often found in oils, also lower inflammation. Canola oil, sunflower oil, corn oil, and other similar products are great to cook with, and can provide this benefit. Coconut oil is also a common way for people with arthritis to decrease inflammation. Consult with a dietician or qualified orthopedist for more information about Omega 3 fatty acids in your diet. 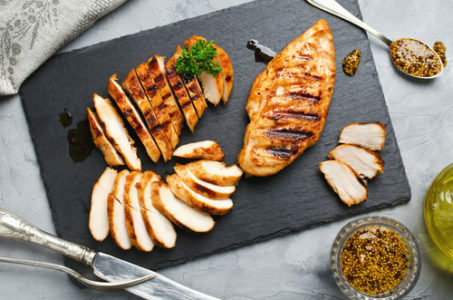 Like protein, zinc is crucial in helping your body to heal wounded tissue. And, according to experts, failing to take in enough zinc can delay the healing process. Common examples of zinc-rich foods include meat, fish, shellfish, and whole grains. Nuts are also a great choice. However, be sure to stay away from zinc supplements. While they are one of the best ways to introduce large amounts of zinc, this can also cause a copper deficiency. If you’re curious about how to strike this balance, contact an orthopedist. Calcium plays an important role in helping broken bones to heal. However, it’s also crucial for helping the brain to signal nerves and contract muscles properly. 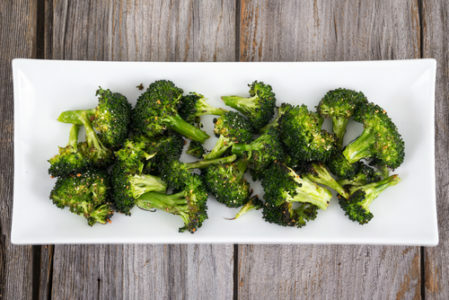 Some examples of calcium-heavy foods include broccoli, almonds, okra, and of course, dairy products. While there are few foods that contain naturally occurring vitamin D, it can also be helpful for your recovery. Vitamin D enhances the body’s ability to absorb and utilize calcium for recovery, in addition to helping on its own. Vitamin D is one of the best natural pain management remedies. And, these nutrients are also helpful in preventing sports injuries in children. In order to recover from most injuries, the orthopedist generally recommends immobilizing the body part. This prevents additional inflammation. In the process, however, it could lead to additional body fat– if you’re not careful. That’s why consuming foods that contain plenty of fiber is important. Fiber-heavy foods will help you to feel full earlier on, and prevent you from overeating. This will help you to naturally control your diet. And, fiber-heavy foods tend to be carry plenty of other nutrients as well. So, be sure to include a serving of broccoli or spinach with your dinner. Rather than eating potato chips as a snack, opt for fruit instead. While it is important to control your body weight and food intake, it’s also important not to undereat. Ask an orthopedist for more precise instructions about diet and proper portions. Nutrition is important, but be sure to remember that it’s only one piece of the puzzle. In order to quickly recover without the potential for the injury recurring, you need a qualified orthopedist. At Central Orthopedic, we’re prepared to help you through each phase of the recovery process. If you have suffered a sports injury, then be sure to contact us to enjoy a quick, speedy recovery!